Dr. Alireza Ebrahimi obtained his Ph.D. from the Polytechnic University of New York. His graduate studies were at Courant Institute of Mathematical Sciences/NYU. Dr. Ebrahimi's teaching interests are Programming C/C++, Management Information Systems, Web Systems, E-Commerce, Artificial Intelligence and Building Expert Systems. Dr. Ebrahimi’s research includes Managers acquaintance with technology, Web site and System analysis, Programming Language, System Design and Computer and Human Interaction. 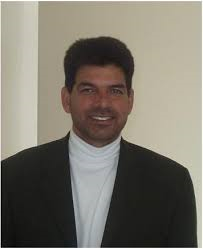 Dr. Ebrahimi’s works have been published in various Journals and National and International conference proceedings such as The International Journal of Applied Management and Technology, Journal of Educational Technology Systems, International Journal of Learning, and Association for Computing Machinery/ Computer Science Education. Dr. Ebrahimi served as co-editor of ACM SIGCSE Inroads Special edition (Human Computer Errors) in June 2007, Dr. Ebrahimi published a two volume book and several book Chapters. Dr. Ebrahimi invented: Web VPCL (with USPTO). During the last five (5) years Dr. Ebrahimi published five articles in peer-reviewed journals and 10 papers in conference proceedings. Dr. Ebrahimi has developed a criteria to evaluate web sites called 7x2 C's with seven (7) layers of application and development. Dr. Ebrahimi received two Chancellors’ awards for Excellence in Teaching in 1993 and in Scholarship and Creativity in 2006 from the State University of New York. Dr. Ebrahimi served as chair of Computer Information Science/Management Information Systems for three years. Dr. Ebrahimi has served as chair and co-chair of AACSB faculty rights, responsibilities, and intellectual contributions. Dr. Ebrahimi served as Director/Chair of Teaching for Learning Center (TLC) at SUNY Old Westbury and Co-Organizer of Annual faculty Conference (2003-2013). He was a member of Teaching Learning Resource Committee. His research "Expressing Programming Algorithms with Poetic Language" was published in June 2014 edition of ACM Inroads. Dr. Ebrahimi's system known as VPCL was published as a book chapter in Handbook of Research on Maximizing Cognitive Learning through Knowledge Visualization in 2015.